The plan was for everyone to meet in Las Vegas for a reunion. Cousins had not seen each other for perhaps 10 years. Three generations were represented. The oldest person was 68, the youngest 10. 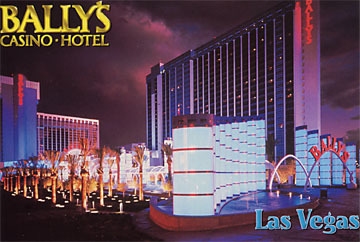 We would all stay at Bally's, which is directly connected to the Paris hotel by an indoor hallway. 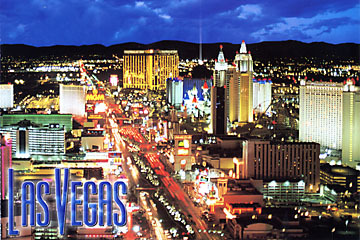 Las Vegas  city of many lights. I wonder what the daily electric bill is for the strip. Bally's is at one end of the current Las Vegas monorail, MGM is at the other end. The monorail will soon be discontinued, as Las Vegas builds a new monorail to connect many hotels on the strip. 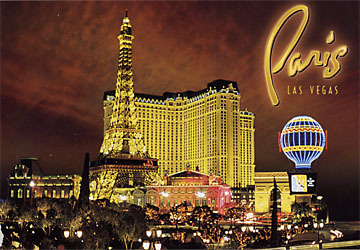 The replica of the Paris France Eiffel Tower, at the Paris Hotel in Vegas, is 50 stories high. The original is 1,052 feet, which is approximately 100 stories, or just twice the height. The original Tower was built in 1889 for the Paris Exhibition and celebrated the 100th anniversary of the French Revolution. It was meant to last 20 years and then be torn down. It never was. Day 1  Thursday: Eric and Andy arrive mid-afternoon. Randy and Lori's family due later at night. Day 2  Friday Daytime: Everyone meets at the hotel lobby entrance at 10 a.m. for a tour of some hotels. Day 2  Friday Evening: Everyone meets in the Johnston suite for gifts, snacks and drinks. Day 3  Saturday Afternoon: Folks visit the Stratosphere, Freemont street downtown and Spielberg's "GameWorks." . Day 4  Sunday Brunch: We all get together before Eric and Andy leave. Day 5  Monday: Some tour the Red Canyon in the morning. Dinner for the adults. Favorite Pictures: My choices for favorite pictures of the trip.